The myth-busters discussed what I think should build their faith in iPhone app development India and help them take the first step in the direction. While conversing with many of our company’s clients, I kind of experience a déjà vu. Years ago, businesses were reluctant to have websites, thanks to a number of myths that made rounds at that time. Today, the situation is same when they think about investing in mobile phone apps. I have been surprised about the kind of misconceptions they bring to me. At the same time, I understand their frame of mind for being newly exposed to the entire ecosystem of mobile marketplaces. The myth-busters discussed below are what I think should build their faith in iPhone app development India and help them take the first step in the direction. You don’t actually need to know any of the technical aspects associated with app development. 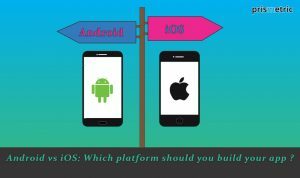 Platforms like iOS empower the developers like me with mobile app development frameworks and we further use these technological tools to empower your businesses. You just have to enjoy the process. The development process of no mobile app can be based on precision. As a business owner, you just need to have a general idea about the application, but a good input about your needs, your industry-relevant needs, your customers and your competition. 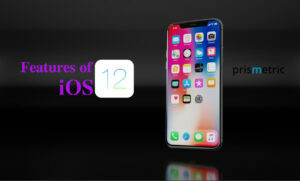 The skilled developers utilize their expertise and experience in crafting unique and innovative iPhone apps. If you actually believe it, you are surely losing some serious business customers. Considering the growing numbers of iPhone users worldwide and from the statistics about app download from Apple Store, it is easy to conclude that apps surely help to reach the targeted audiences, irrespective of your business background. Having worked with an iPhone app development company for years, I can personally guarantee that your buyers would love your presence on mobile. Is that possible? Every business, whether a start-up or an established one, is ready to jump into the mobile world! All it requires is an interface which can be achieved through mobile websites and mobile apps. You need mobile apps not just to connect with the audiences. If you have an enterprise with scores of employees, you can invest in enterprise apps to achieve some wonderful benefits. I Have Mobile Website, So. ..I don’t need a mobile app. This is one of the common myths I frequently hear. While the mobile website is your first step in the mobile world, a mobile app can further enhance it in a significant manner. 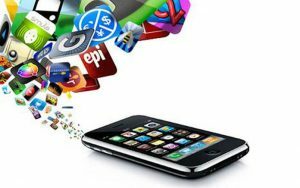 iPhone apps offer a rich engaging experience to the business buyers and also showcase the business’s brand value extensively. It could be! But, you definitely need one now or in the future. And, don’t overlook the business profits and marketing benefits the mobile app can arrange for. You can even make money once your app becomes popular, by tagging it with a download cost and in many other ways. Businesses around you must already be doing so. All your concerns and worries get resolved if you are in the safe and experienced hands. Hire an expert in iPhone application development India and you will be in the right direction.